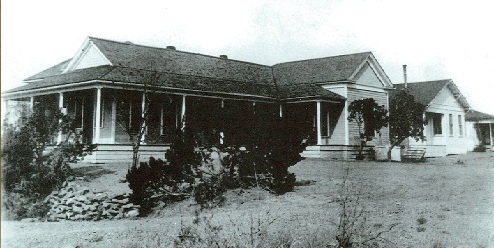 In 1913, "The Phoenix Sanitarium" was established and labeled after its founder Dr. N. J. Phoenix, as the first hospital of Colorado City, Mitchell County Texas. The word "hospital" was not used during this era as the word "sanitarium" was commonly utilized. In 1920, Dr. C. L. Root purchased a residence located south of the Colorado River on top of a small hill and converted it into the Colorado Sanitarium (pictured above). Seven years later, he constructed a hospital building that consisted of nine patient rooms located on Chestnut Street and called it the C. L. Root Hospital (pictured below). At that time the cost to stay in the hospital was $5.00 a day and the Root Memorial Hospital expanded into 12 beds, an operating room, a delivery room and a small detached building which housed the nursing staff. The kitchen was located in the nursing quarters. Food trays were delivered across the ambulance drive way in freezing cold temperatures as well as when the hot sand blew relentlessly. There was no air conditioning during the warmer times of the year, but patients had electric fans in their rooms. Patients were also given hot rubber draw sheets to keep warm during the winter time. In 1939, all of the employees at the hospital were Registered Nurses with the exception of the cook. The nurses were paid $60 per month and were given their room and board. They worked 12 hour shifts and had one day off per month. The administrator served as the bookkeeper, lab and x-ray technician, anesthetist, nurse supervisor, plumber, electrician and yard man. The nurses did the rest of the work, including janitor work. Nothing was disposable. Dressings were made from bolts of gauze fabric. The needles, syringes and rubber tubing had to be cleaned, sterilized and recycled. A new ambulance driveway was constructed in 1958. The nurse's housing was changed to a dietary department and a doctor's lounge. A connecting corridor was constructed between the two original buildings. In 1963, a vacant lot adjacent to the hospital led to the creation of a 50 bed nursing home known as the Root Valley Fair Lodge. That same year another addition was completed for the lab and x-ray departments. The inception of Medicare in 1966 created a financial hardship for the hospital leaving the future uncertain. Both city and county representatives sought a solution with the hospital administration to keep delivering patient care. In 1967, Mitchell County citizens voted for the conception of the Mitchell County Hospital District, a governmental entity, to gain tax support. In 1974 the Hospital District began participating with the city and county to provide ambulance services for the community. Unfortunately, both city and county officials did not want to partially fund the Emergency Medical Service any longer; therefore the hospital district took over sole responsibility. The 70+ year-old hospital (pictured above) desperately needed to be replaced. 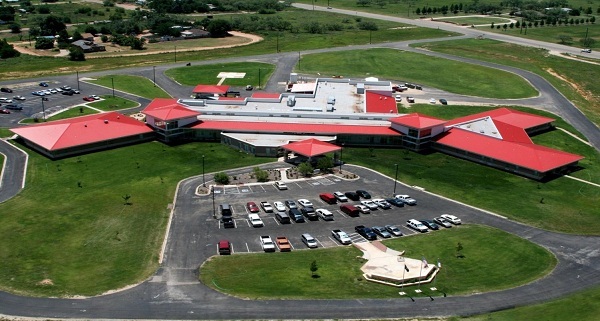 This necessity led to the construction of a brand new facility in 2004; which is currently located near Interstate 20. Family Medical Associates, our community rural health clinic, moved to the site when it was established and remains the clinics home. The Heart of West Texas Home Health Agency, which had been owned and operated by the hospital district, was sold to a private company in 2008. Today, Mitchell County Hospital District (MCHD) is a 25 bed critical access hospital which retains a Level IV Trauma Designation. The district also owns and operates MCEMS (Mitchell County Emergency Medical Service), which supports 24 hour seven day a week service for our county. Mitchell County EMS has two full-time crews (one first-out crew, one back-up crew for transfers). MCEMS averages 80 runs a month, and makes 25 transfers a month. We employ 8 full-time and 7 part-time employees, including 12 paramedics and 3 EMT's. Our EMS responds to 911 calls within Mitchell County. These calls result from motor vehicle accidents on Interstate 20, which transects Mitchell County from east to west and from State Highway 208, which runs north and south in the county. MCEMS also responds to calls from our nursing home, a dialysis center, and two Texas Department of Criminal Justice Units, the Wallace and Ware Medical Units. Many calls come from residents in their homes who have medical emergencies and need to come to the hospital emergency room. We participate in mutual aid with other EMS facilities in the surrounding counties of Scurry, Nolan, Fisher, Coke, Sterling and Howard Counties. This occurs when we or other EMS units need additional help on calls due to multiple injuries which occur in trauma situations. MCEMS is located at 1602 Chestnut Street. Family Medical Associates (FMA) is our rural health clinic that is owned by MCHD. Currently FMA has grown to acquire 3 physicians, 1 general surgeon, and 1 Nurse Practitioner. FMA also house's our Specialty Clinic that is attentive to your medical needs and offers options to help you make informed decisions on important health matters by bringing in doctors from a variety of medical backgrounds. 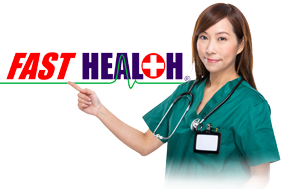 Presently there are specialists in Urology, Gynecological, General Surgery, Cardiology, Nephrology, Podiatry, Neurology, Oncology, and Ophthalmology. MCHD also owns and operates Mitchell County Nursing & Rehabilitation Center, a long-term care facility.